- We celebrated my friend Stefanie's birthday. We ate at Don Pedros, a sweet Mexican restaurant. Finally Winnipeg has Mexican joints! -I went with my good friend Toya to a Jazz club. I've never been and it was fabulous. I never realized we had such cool spots like this in Winnipeg. They had a band playing and the girl's voice was really nice. I love jazz and it was so cozy and relaxing. I really enjoyed it. It will definitely be our new hang out spot. -We had a Relief Society fashion party. My friend Jakee taught us about hair and how to treat it. It was so informative and made me realize that I need to take better care of my hair. And I shared a little about fashion, which was so fun for me. It was a great activity. - On Sunday I went to church and it was so good. A sister spoke about trusting in God, being positive, and never giving up. It was just what I needed. and I got to teach Relief Society, which I always enjoy doing. 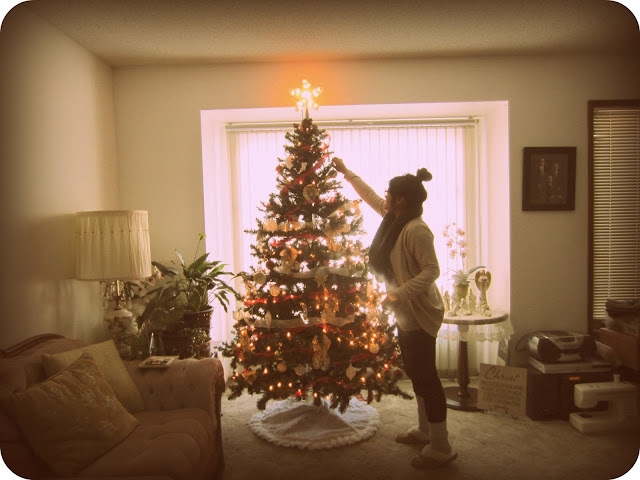 - Me and my mom put up the Christmas tree! It's so fun decorating the tree. There's something about Christmas trees...they're so mesmorizing and I can just sit and watch for hours. I love it. So excited for the season! That cupcake looks delicious!! :] And your Relief Society sounds like a TON of fun! I totally need to learn how to take better care of my hair! Also, your tree is GORGEOUS! these pics are so inspiring me!!! Your tree is beautiful. It's so fun decorating the tree. I love Christmas, and I am very excited for this. And oh, that cupcake looks delicious! *-* yummmmy! wow! your christmas tree looks amazing! i agree, tree decorating is SO fun! 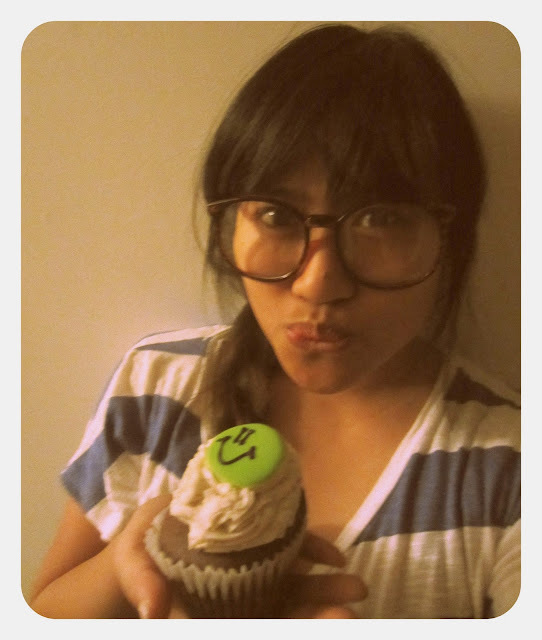 that cupcake is too cute!